I’m starting a new page in which I will be featuring a certain website or blog few times a month. I will discuss why I think it deserves to be featured in this section, either good or bad. I will talk about my thoughts and views on the website from my personal experience and some experiences I have talked about with other people. These sites are not featured in any particular order or anything. They are just websites or blogs that I have either been using / visiting for a while and have something to share with everyone about that website or maybe just a new site I have either discovered or been told about that I think there is something to be shared, good or bad. So feel free to read my article and tell me what your thoughts are. I thought I would do my first segment of “My Featured Website” is on one of the websites that I use most often, and that website is Google.com. Now, like many people I spend quite a bit of time on the internet doing various things. I am the type of person who always like to find the answer to whatever happens to be in my mind. There are many websites you can go to when looking for answers to all types of questions. You can try wikipedia.org which has a wealth of information about all kinds of things. The thing about sites like wikipedia.org is that you get the kind of information that you would find in an encyclopedia. Now that is great for finding all kinds of information but sometimes when you aren’t looking for book type answers you need another resource to find the information you seek. I feel the best way to find whatever you might be looking is to go to a central starting point. 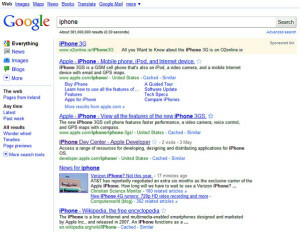 Myself and millions of other people around the world start their search for whatever information they are looking for by first going to Google.com, the most used search engine in the world. There is one good reason for this, you can find just about anything you are looking for by first going to Google.com and doing a search. Once you have entered what you are looking for in the Google.com search bar and start the search, the results are returned to you in fractions of a second. This just seems to be unthinkable but believe me, we are dealing with fractions of a second for search results on Google.com. After the search results are shown to you they are laid out in order of what Google thinks they are most relevant. To find out how Google thinks the results are relevant to what you searched for, Google has algorithms (parts of the search programming) that look at all the data when the Google crawlers visit a certain website. These algorithms look through what they find on a certain website for certain key words and some other factors and then display the results to you in the order that their programming thinks is most relevant to what you are looking for. That is the basics of how a web search works on the majority of the search engine websites. Talking from my own experience of using Google.com since it was first introduced, Google always seems to help me find the answers to what I am looking for the quickest and easiest. This is why Google.com is my go to website when I am looking for some information or an answer to any questions I might have. Their are other great search engine websites to go for good information and I do use some of them as well. There is Bing.com, Yahoo.com, DuckDuckGo.com as well as many other very useful search engines and I do use many of these from time to time. I am always able to find great information using Google.com, and that’s why it’s one of my favorite websites and why I am starting off this segment talking a little about Google.com. 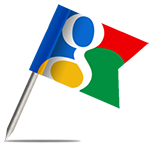 If you have any thoughts on Google.com or any other search engine then feel free to leave me a reply below. I am always happy to share thoughts and information with my website visitors. Previous Post: The Internet, Good or Bad? Next Post: The Best Holiday Season Deals!